The node you select in the existing file list affects the output of the report. For example, the report will compare data for the entire profile is you select the top-most node See image. 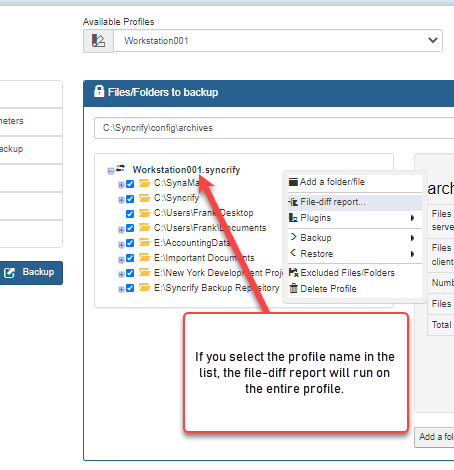 Similarly, by selecting a deeper folder within a profile you can restrict the report size See image. The generated report will be created in HTML format. The amount of time required to run this report depends upon the number of files on both ends. Following screen is displayed when you run Fie-diff report. Running a File-diff report on a data set containing thousands of file can create a huge HTML report. Therefore, in order to minimize the report size, leave the checkbox selected. 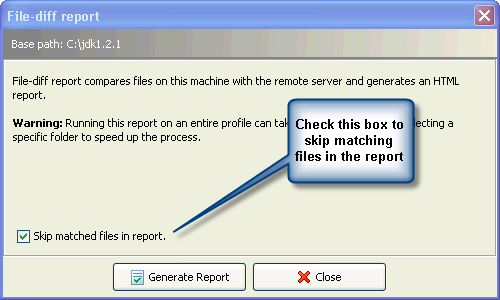 While the report is running, the title of Generate Report will change to Abort Report allowing the user to abort the report. When this report is aborted half way, it will only display the records that have been collected up until it was terminated. 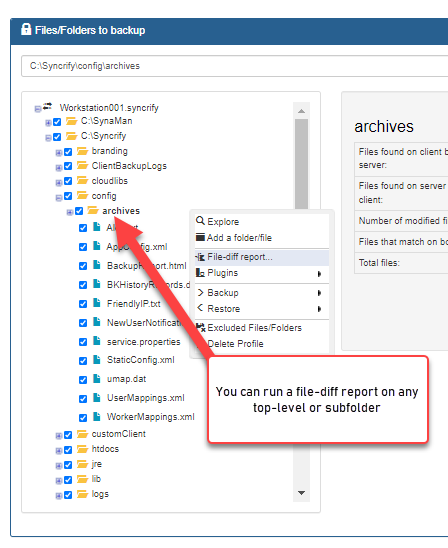 Click the File-Diff report button under the Action column.